Kate Wisniewski is an actor and a teacher. She has appeared on Seattle area stages for Intiman, ACT, Book-It Repertory Theatre, Empty Space, Tacoma Actors Guild, New Century Theatre, upstart crow collective, Seattle Shakespeare Co/Wooden O and New City Theatre and regionally at The American Repertory Theatre in Cambridge, MA. Kate is on the faculty of the Seattle University Theatre Department and teaches acting and Shakespeare and sometimes appears as a guest artist in Seattle University productions. 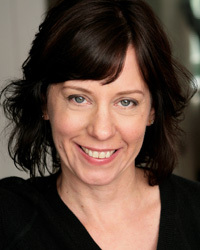 Kate is a graduate of the American Repertory Theatre Institute at Harvard and has been a faculty member of Freehold Studio Theatre Lab and is a Certified Fitzmaurice Voicework instructor. Her voice over work can be heard regionally and nationally in video games and commercials.